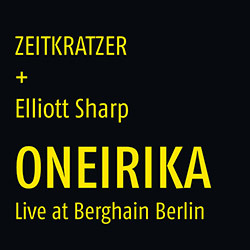 Commissioned by Berlin's Maerzmusik Festival and premiered in 2014, Elliott Sharp's composition & soundscape is named after the Greek waking dream and inspired by John Cage, Sharp using a methodology to filter and process his musical manuscripts via Photoshop, which are interpreted through amplification of acoustic instruments by the Zeitkratzer ensemble. 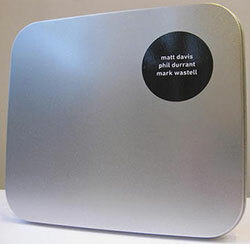 Using cello, amplified textures, prepared effects, harp, trumpet and electronics, the trio of Mark Wastell, Rhodri Davies and Matt Davis explore the nature of space, silence, noise and electronic sound. 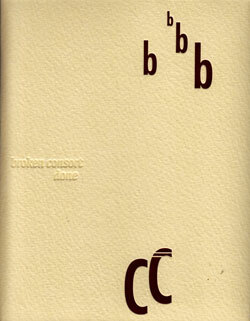 Re-issue of one of the earliest Confront releases, the trio of trumpeter Matt Davis, violinist Phil Durrant and cellist Mark Wastell performing subtle and sophisticated free improvisation at St. Michael's and All Angels church, Chiswick, London in 2000. 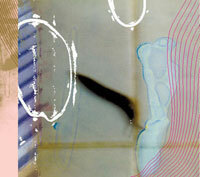 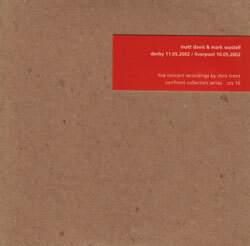 The minimalist electroacoustic improvising duo of Matt Davis on electronics and effects and Mark Wastell on amplified textures performing live in Derby and Liverpool in 2002. 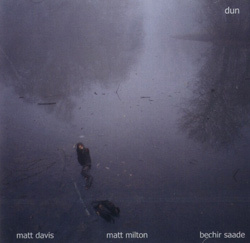 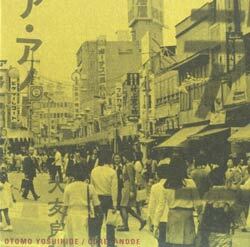 Understated and exquisite improvisation using trumpet, violin, bass clarinet, flute and field recordings from three forward-thinking performers. 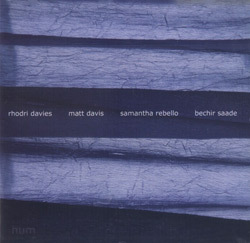 Fascinating electro-acoustic improvisation from harpist Rhodri Davies with an open-minded and experimental quartet creating dynamic and unexpected music.